I had long decided that this year’s foreign country trip would take place in December, somewhere I could wander around in short-sleeved shirts while Colorado had yet to thaw out. (Never mind that the Colorado winter has been snow-free this year.) And so on x-mas day I’m heading to Guatemala, roughly a six-hour flight (excluding transfers) from the Denver Airport. 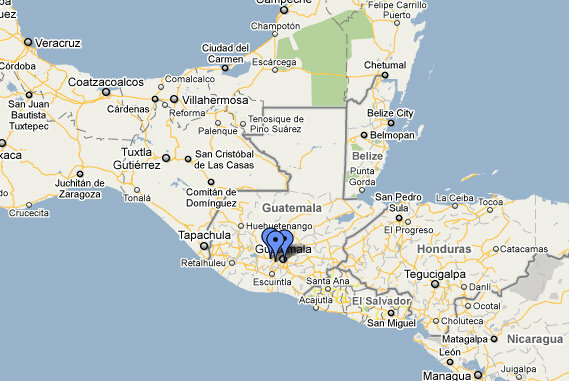 Why Guatemala? Certainly not because it is widely regarded as the most dangerous country in Central America. Instead, it’s because of its reputed natural beauty and there is a unique non-profit organization I’ve for years wanted to volunteer with. The NGO designs, builds, and sells bicimaquinas to help the locals with labor-intensive tasks, and as a mechanical engineer who’s passionate about design and bicycles, this was an irresistible opportunity. I wanted to do it enough that I pushed aside some rather terrifying U.S. State Department travel advisories to this country that only 15 years ago was still involved in a bitter civil war, and is still overrun with thugs and violence to the point where police are simply overwhelmed. Guatemala is far safer than it was a decade ago. Much travel here entails standard, commonsense safeguards: leave the flashy jewelry and camera equipment at home; take taxis after dark; keep passport, credit cards, and cash well hidden. But Guatemala has a few unique “Never Do” precautions, too: don’t hike volcanoes or the Cerro de la Cruz above Antigua or the remote beaches of Tikal on your own (go with an escorted group); don’t ride the city buses in the capital; don’t photograph children you do not know. Remember though: Most visitors have a safe and terrific trip. It helped that I personally knew six people (four women) from Fort Collins who had traveled to Guatemala in the last two years, and all of them recommended going. One of them (a bubbly twenty-something) mentioned she was in fact robbed, but seemed completely blasé about it. “I kept my passport hidden in my bra, and all I lost was some money,” she said. So I’m going to Guatemala with a half-dozen hidden pockets in my clothing (including my socks) and taking nothing of tremendous material value that I would be terribly upset about losing. I will hardly be spending any time in the capital city (which averages 30 murders per week) aside from escaping from the airport as quickly as possible; and starting on the second day, I should be in the company of other volunteers. There at the NGO in the mountains west of Antigua, we should be able to focus on building bicycle-powered machines and repairing bikes (to sell and help fund the NGO) instead of staying out of harm’s way. At least that is the hope. Fantastico! Have fun, what a cool NGO!